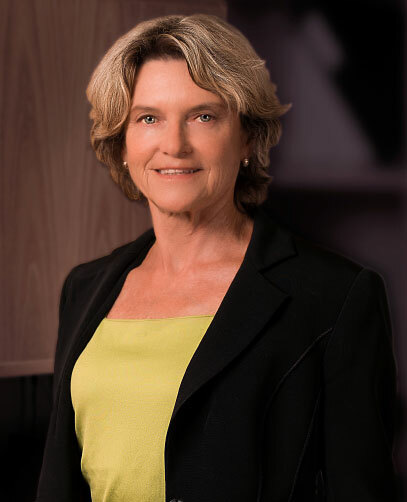 Margaret has practiced law in the field of civil litigation since the 1980s and has been a member of the Southern Cross Chambers since 2005. She holds degrees from the University of Auckland, Bachelor of Arts (Psychology) and Bachelor of Laws and was admitted as a Barrister and Solicitor of the High Court of New Zealand in 1985. Margaret has represented clients in a range of cases in the Supreme Court, High Court, District Court, Employment Court, Family Court and various Tribunals. She provides legal advice and representation for organisations, businesses, and individual clients in both private and public law areas with particular expertise in matters concerning employees in the tertiary education sector. Her background experience includes patent, trademark and copyright law, insolvency litigation; contract, tort/negligence and breach of statutory duty. Based in Auckland, her previous roles included working for two national law firms as a member of their respective, specialist litigation teams . Since 2006 Margaret has been an accredited Mediator with the Resolution Institute (formerly known as LEADR NZ), having initially trained in alternative dispute resolution at Harvard Law School, Boston, USA. She conducts meditations and other dispute resolution processes for organisations and individuals across the broad range of civil disputes. For a number of years Margaret served on the University of Auckland (Human Participants) Ethics Committee established to review and approve applications for non medical research involving human participants. Margaret has been actively involved in the human rights field since the 1980s as a former President and Chairperson of the Auckland Council for Civil Liberties Inc; as a contributing author to the New Zealand Civil Rights Handbook (2001 and 2010 editions) edited by Tim McBride; as a member of a Ministry of Justice Public Law Consultative Group and as an invited speaker at conferences such as the Privacy Commissioner’s conference on DNA Profiling and the Legal Research Foundation Conference on Home Detention of Sentenced Prisoners. As a member of the executive committee of the Human Rights Foundation, she is involved in public law issues with a human rights impact including working with government departments on policies and processes, monitoring new legislation and making submissions to Select Committees on new Bills before Parliament. BA (Psychology) University of Auckland. Accredited Mediator with The Resolution Institute NZ. Special Interest Group – Trusts; Chartered Accountants of Australia and New Zealand.